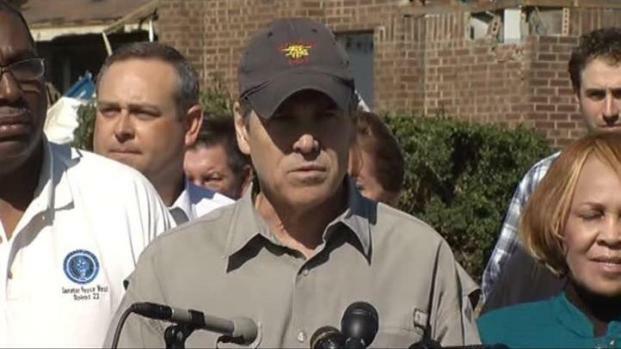 Perry says damage is "substantial" and "stunning"
On Thursday, Gov. Rick Perry got a personal look at the destruction left in the wake of tornadoes and other storms that ravaged North Texas Tuesday. "Two days ago there were people going about their business, going to school, just moving around with their regular lives. Today, there's a lot of people just really blessed they're alive," Perry said. "There's a lot of Texans whose lives have been impacted by this." After touring the tornado-ravaged areas of Kennedale, Arlington, Lancaster and Forney by air, the governor stopped in Lancaster and shared his findings while talking about the plan for recovery. "It's a stunning amount of devastation and then 100 yards over it looks like another beautiful, bluebird day in Texas," Perry said. "When you look across the road back east there is a high school, there is a community college. Those are untouched, thank goodness, but again, standing right behind me, there is some family who has lost practically everything they own." Gov. 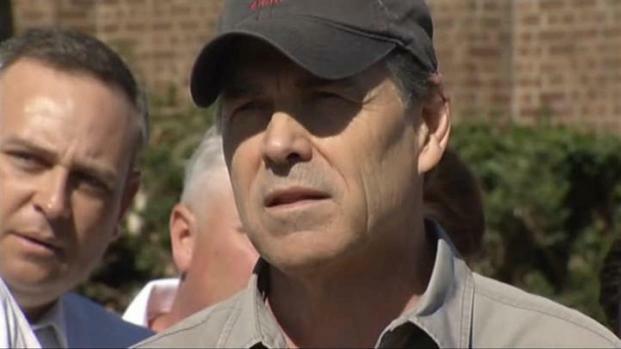 Rick Perry toured Lancaster to observe damage to the town from Tuesday's tornadoes. NBC 5's Kendra Lyn reports on the governor's response to the devastation. Perry said those impacted by the storm should expect the local, state and federal governments to respond quickly to their calls for help, but that the bureaucratic process can take time. "This is nothing that we haven't dealt with before. The good news is we're very adept at it, we're very quick at it. People will be served and they'll be served quickly. Not just by the state of Texas, but by the federal government and the local folks as well," Perry said. Perry said as many as 2,500 structures may be impacted in the Lancaster community alone where three neighborhoods still remain off-limits even to residents. Gov. 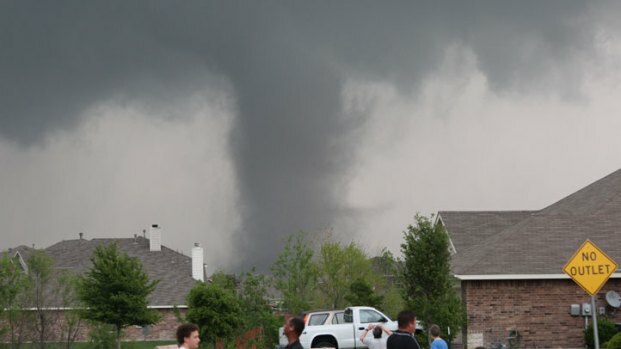 Rick Perry discusses tornado damage and emergency response in Lancaster on April 5, 2012. "It's real frustrating and sad at the same time to see your other neighbors losing everything they've got and you still have your stuff, but they don't, you know?" said LaFredra Taylor. "Some people, in the recession that we're in now, just can't afford to buy things right now -- can't afford to go out and get a room, can't afford to buy clothes for their kids. Gov. Perry, please help. Help the people that need help." A statement issued by his office said the governor will also receive a briefing from emergency management personnel and local officials.